Helps maintain the structural integrity and biomechanical quality of bones. 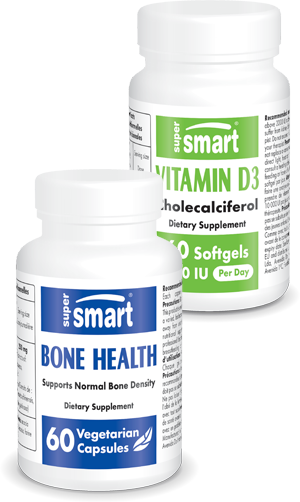 Supports the bone formation phase and helps reduce the resorption phase. Contains natural ingredients (phytoestrogens) that mimic the action of oestrogens.